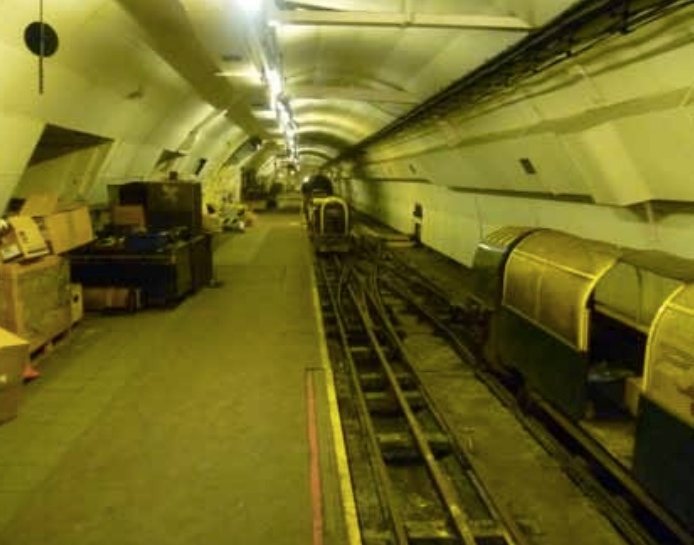 The British Postal Museum & Archive (BPMA) has submitted plans to Islington Council proposing to reopen a section of the Mail Rail beneath Mount Pleasant sorting office, this time for public use. The scheme forms part of the BPMA’s plan for a major new postal museum and experience in the Mount Pleasant area. The first part of this plan, a new combined museum and archive at Calthorpe House (opposite Mount Pleasant) has already been approved. This will allow the BPMA to fully open up its extensive collections covering over 400 years of postal history to the public – these include photographs, posters, vehicles, pillar boxes, employment records of millions of people and a world-class stamp collection. Part two of the scheme, however, is perhaps even more ambitious. 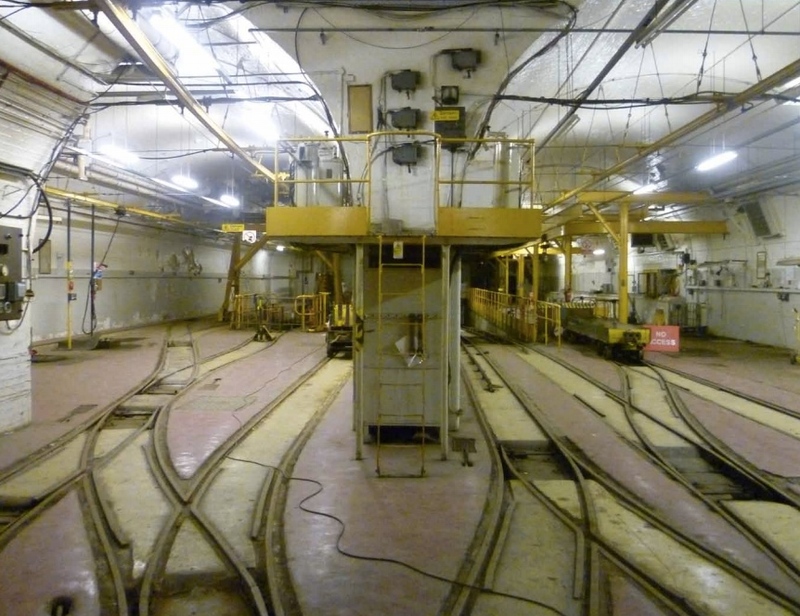 This involves reopening the aforementioned section of the Mail Rail beneath Mount Pleasant itself. The Mail Rail itself needs little by the way of introduction. In 1909 Sir Robert Bruce, Controller of the London Postal Region, was appointed to investigate whether the sub-surface transmission of mail in London was a matter worth pursuing. Having examined systems to be found elsewhere in the world, he produced a report recommending that the “Post Office (London) Railway” be constructed. Whilst various pneumatic options were considered, his ultimate recommendation was for an electric railway connecting the Eastern District Office with Paddington, passing through six other stations, five sorting offices and Liverpool Street station. The Post Office itself quickly approved of the scheme, and the Post Office (London) Railway Act was passed by Parliament in 1913 enabling its construction. That construction was originally intended to take only 15 months, and began shortly after the outbreak of WW1. Initially work proceeded relatively quickly despite the growing conflict. Tunnels were cut by means of a Greathead Shield, with iron ring segments forming the tunnel wall and work proceeded to plan until the tunnels had almost reached Mount Pleasant itself. 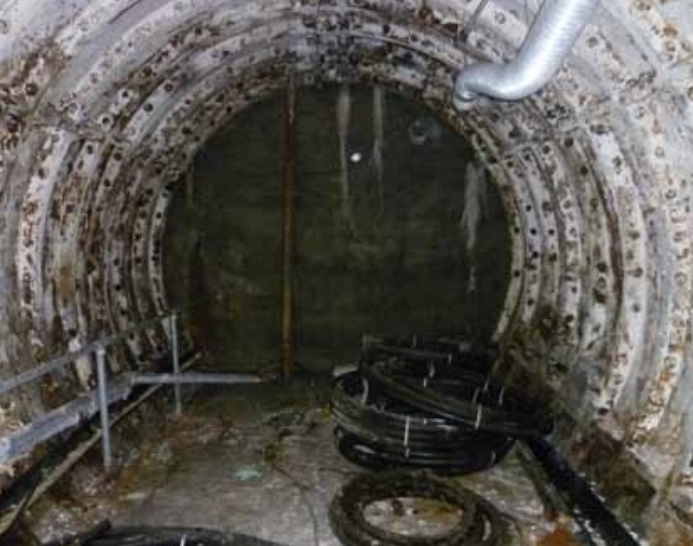 Here, water began to seep through the tunnel walls and, despite the addition of extra lining, this would remain a problem throughout the life of the system. 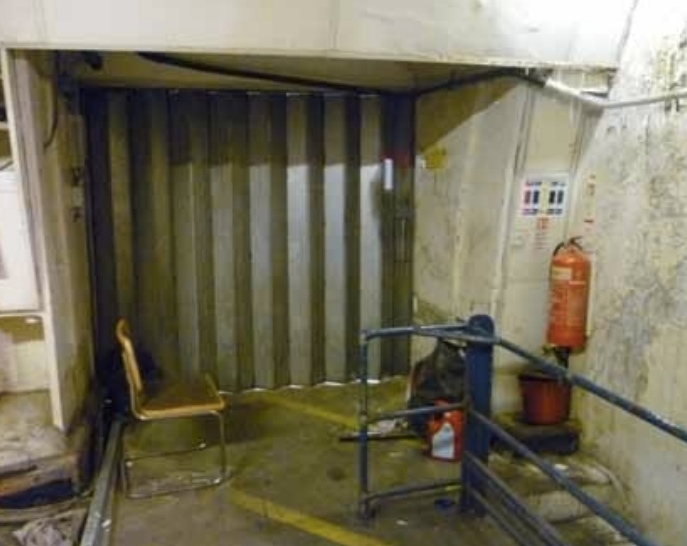 Indeed like the London Underground itself heavy duty water tight gates were fitted within the tunnel just outside of Mount Pleasant station to lower the risk of the entire network being flooded. By 1917 the war in Europe – with its demands for both men and materiel – saw work on the Post Office Railway temporarily halted. The tunnels were largely complete, but the railway itself had yet to be fitted out. 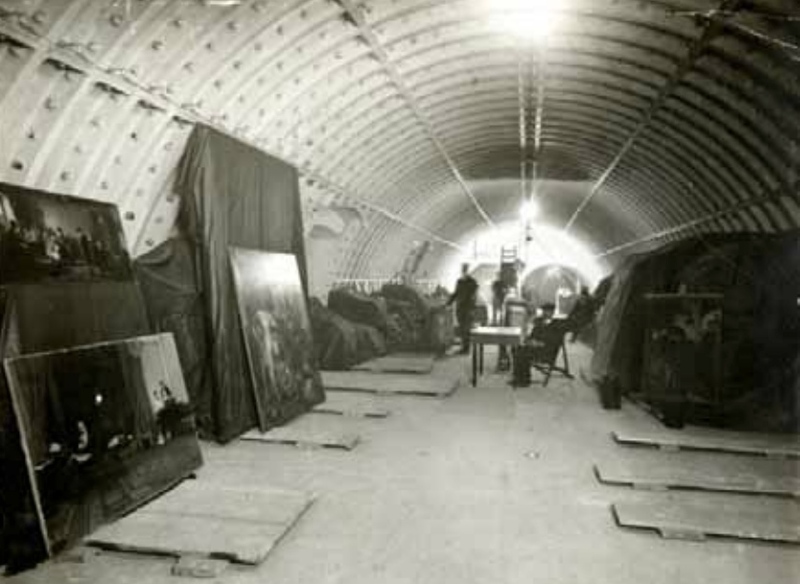 The tunnels were soon being used to store British Museum treasures safely away from German Zeppelin bombing raids on the Capital whilst serious consideration was given to suspending work completely. In the end, work finally resumed in 1924 and was completed in 1927. The result was a narrow gauge railway over six miles long running from the Eastern District Office to Liverpool Street Station, then the East Central District Office (King Edward Building), Mount Pleasant Sorting Office, West Central District Office at Holborn, Western District Office at Wimpole Street, Western Parcels Office at Baker Street and then finally arriving at Paddington District Office where it connected with the main railway station. This route changed slightly in 1965 when the Western Parcels Office, and its station, were closed and the Western District Office was moved to Rathbone Place. 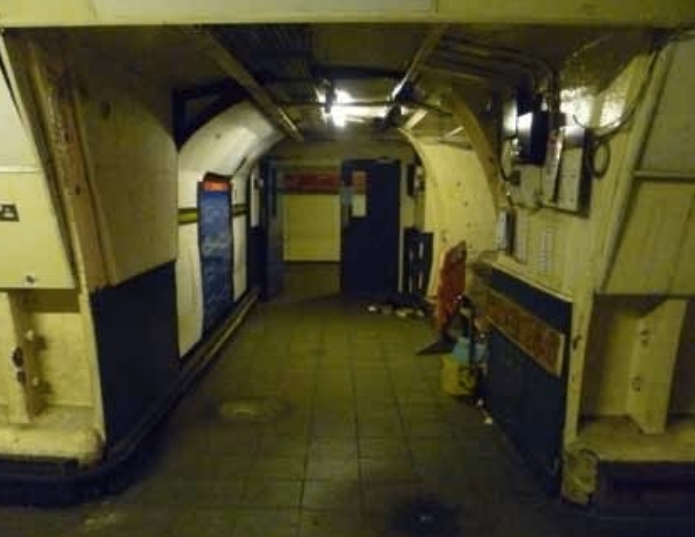 For the rest of the railway’s life, Rathbone Place would remain something of the “odd station out” as a result, looking very much like the office block basement it was in opposition to the more tube-like stations elsewhere on the line. 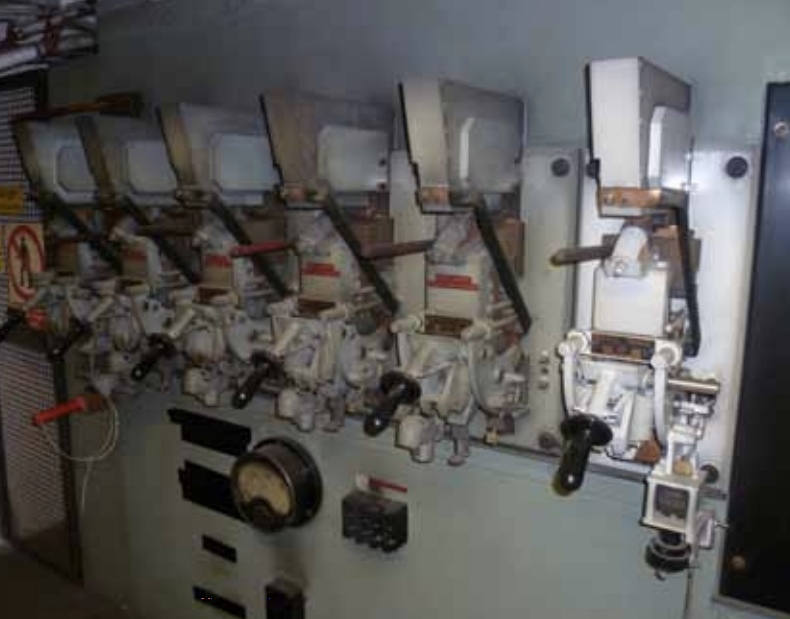 Trains were controlled by a switch system at each station and could be stopped at any station for loading or unloading of mail or could be run straight through. Mail was loaded via bags or trays into special containers which themselves were then loaded onto the trains. Mail was sent down to the platforms from the offices above via chutes and transferred up via conveyor belt or lifts. Indeed at Paddington a lengthy conveyor system was used to get bags of mail from the Post Office Railway directly onto the mainline platforms. For the next thirty five years, the Post Office Railway would be used to move mail around London. 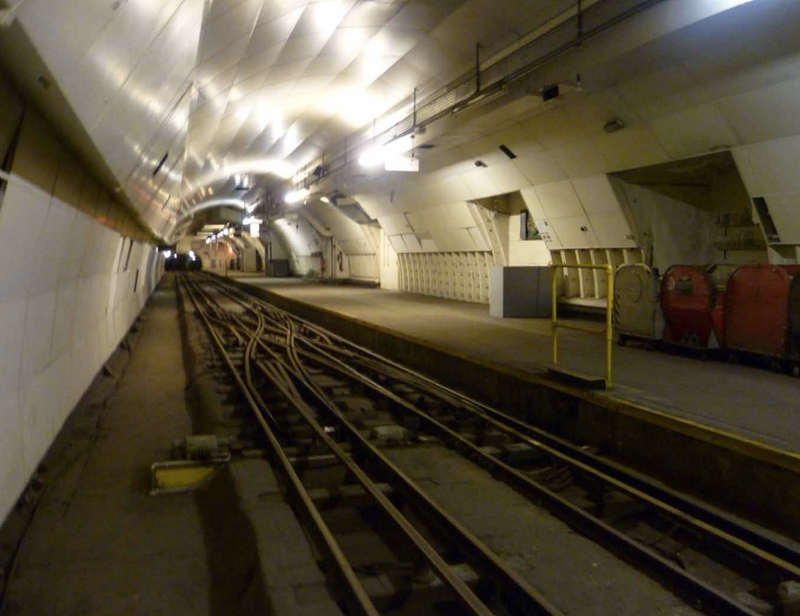 In 1987 it was refurbished and rebranded as the “Mail Rail” in celebration of its 60th anniversary. Finally, in the nineties, it was upgraded to then-state of the art computer control (indeed it would later be boasted that the system was run by a then-incredible “254 megabyte computer”). By the new millenium though it had become clear that the Post Office no longer wished to maintain the system. The network, they claimed, cost five times more to run than the equivalent cost of moving the mail by road. This was a figure that was soon subject to a certain amount of dispute. The Communication Workers Union claimed that, to a certain extent, Royal Mail were cooking the figures – that they had pursued a deliberate policy of running the railway down and only using it at one third of its true capacity. A report by the Greater London Authority also supported its continued use. Despite this, the Royal Mail announced in April 2003 that they would close it down at the end of May, and the railway moved its last parcel in the early hours of 31st May 2003. Since then the system has remained unused beneath the sorting offices and streets of the capital. 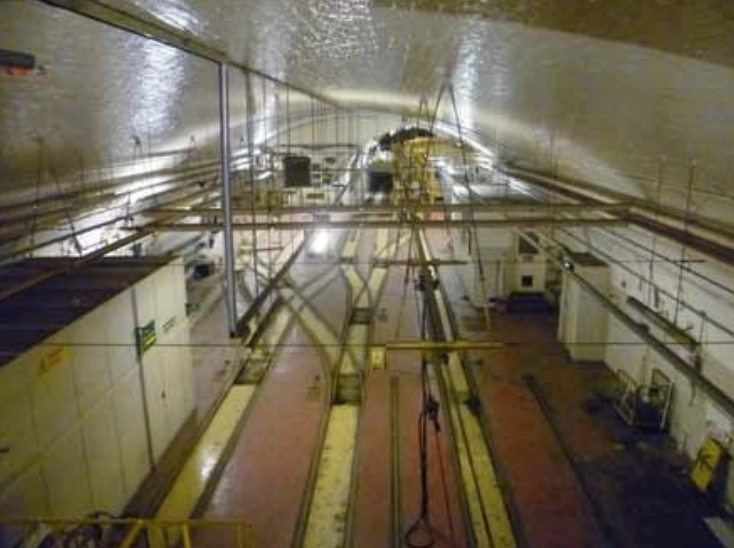 Although much of the railway infrastructure has been removed – not least by the BPMA itself – the tunnels, tracks and various elements of the original system do remain in situ and in relatively good condition. 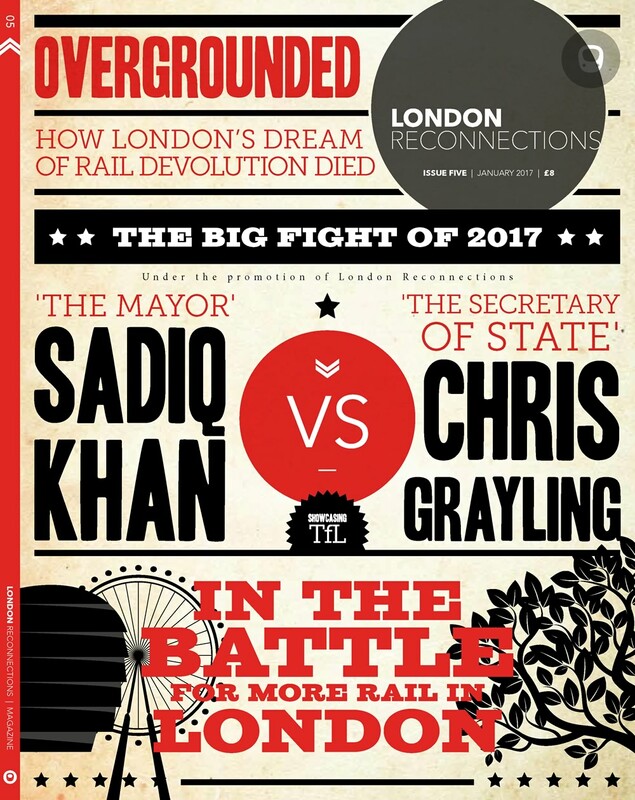 Indeed Crossrail briefly investigated the possibility of reusing the tunnels as part of an elaborate system to remove tunnel spoil without recourse to road haulage, although this ultimately proved unworkable. Ultimately, this has been for the best as it has left open the possibility for the BPMA’s proposal today. 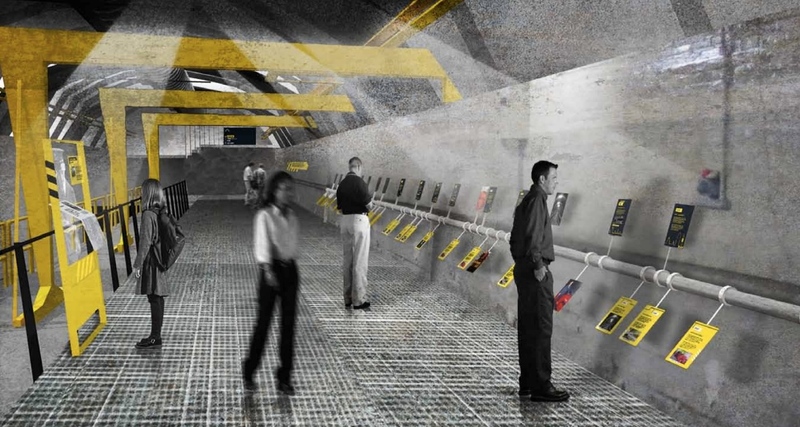 The BPMA’s plan is to take advantage of the fact that the Mail Rail, for the entirety of its operational life, was designed to be a fully self-supporting enclosed system. This means that, lying beneath Mount Pleasant itself, are not just a set of original platforms but also an extensive Workshop space and mail car depot. These can all be seen on the map below. If the plans are approved, the Workshop area will be used to house a visitor centre and cafe, whilst the larger depot space will be converted into both an events hall and exhibition space covering various aspects of the system’s history. Looking through the supporting documentation, the intention is to try and avoid as much structural change to the system itself as possible, in recognition of its crucial heritage role. 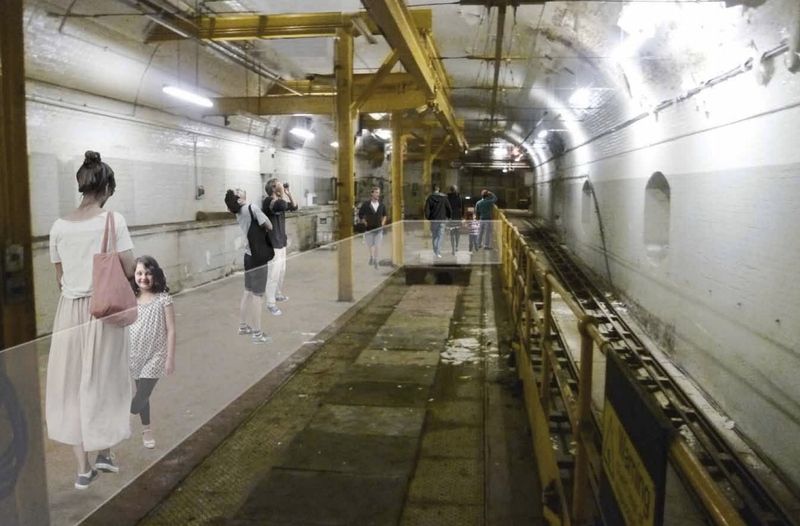 Lifted floors with grills and vents to expose the workings beneath will be used throughout the depot, and exhibits set apart from the original fixtures and fittings that still remain, allowing these to be exposed wherever possible. It’s an admirable design goal, and one that should be impressive if achieved. 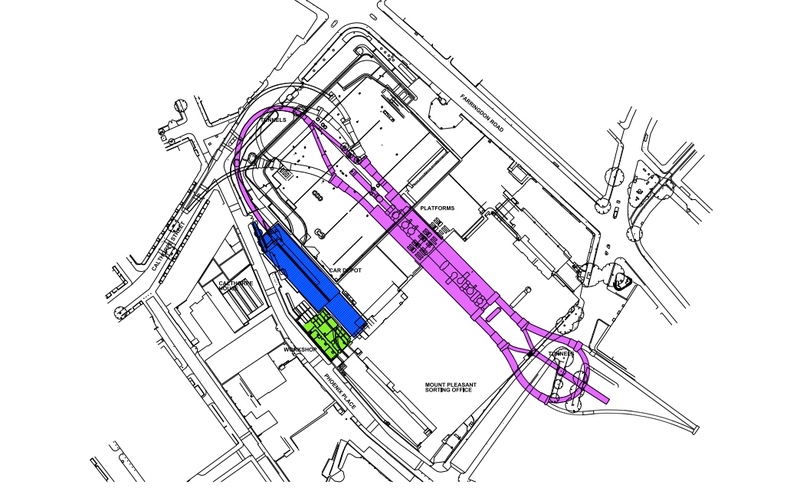 The most interesting element of the plan, however, comes with the tunnels linking the car depot to the original platforms themselves. 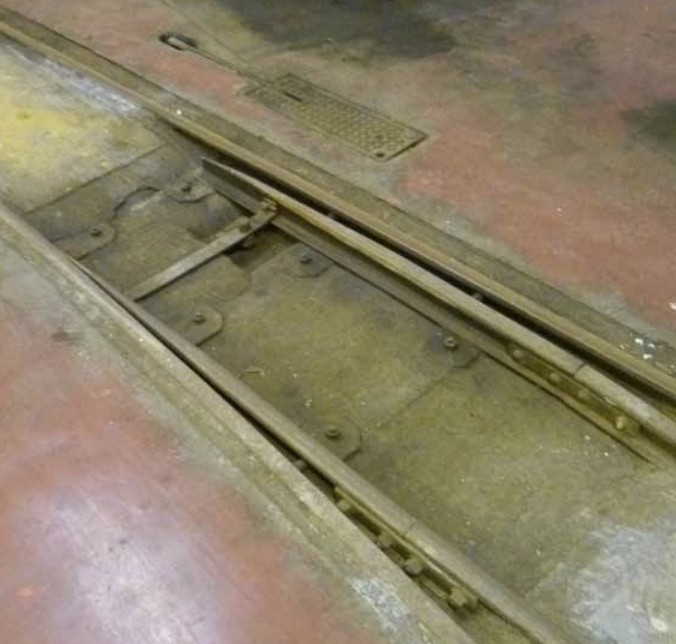 The intention appears to be to restore this section of line to full operation, running trains carrying visitors from the depot through to the platforms, where more exhibits on the system’s industrial history – and indeed the history of moving mail by rail in general – will be found, and then back again. The rolling stock used will be specially designed replicas of the original battery powered trains used to transport the mail. The network beyond Mount Pleasant will remain physically open, but running will be fixed to the confines of the new museum site. Although the planning documents make no mention of proposed timescales, it is clear that the BPMA are keen to press forward in line with their work on the wider museum. It is hard not to wish them success with their endeavour. You can read the full submission, and its supporting documentation, on the Islington Council planning website. It’s worth a look, not least because the supporting documents contain some photos of the current state of the system, although we have included some of the best ones here. Ah, Mercury Arc rectifiers. The lifeblood of the DC rail system for many years. I well remember standing on Putney Bridge station of an evening with the substation visible across the tracks. As trains accelerated, the violet glow through the windows grew brighter and brighter. In the days when the it was a Proper Museum, the Science Museum had one on display too. Went well with the 11 a.m. discharge demonstration. Should this be the route suggested for cycleway conversion? I thought this had already been discussed – the running tunnels are 9 feet in diameter (twin 7 foot diameter on the approaches to stations). Raise the floor high enough to get a six foot wide two-way cyclepath and the headroom is only about 6 feet. It strikes me that in a time when we are trying to drastically cut the number of vehicles coming in and out of central London by road, Mail Rail might be a really useful way of bringing freight into the West End – retail deliveries and such like – rather than a Tesco truck pulling up in front of your West End mini-supermarket or an M&S truck bringing in the latest consignment of navy blue knickers, load it all onto an underground goods train, bring it to the surface at your choice of convenient zone 1 locations and then take it the last few hundred yards by electric buggy. It might not totally eliminate lorries in central London but every little helps as our friends at Tesco like to say! @LO Ben -have you any idea of the cost of providing new underground stations every few hundred yards,complete with lifts and goods handling space,new bulk break areas at the terminals (?) – not to mention the cost of running the gismo on a daily basis of running same? I note your caution, but think it is likely some form of affordable automated goods delivery system will be possible one day in cities as a result of autonomous road vehicle developments, and smaller but otherwise highly standardised vehicles based on this technology might be able to use small dedicated tunnel infrastructure like Mail Rail, perhaps as a part of a larger network also incorporating surface sections, dedicated or otherwise). In some ways such a system could be quite similar to the old Post Office railway, with powered carrier drays conveying wheeled cages, but the carriers need not be rail based. They might instead be something a little more flexible like an Ultra pod. Handling the cages at stations and in lifts, moving them along pavements and passageways to and from stores would remain a challenge. Short trains of cages might be hauled by semi-autonomous walking-pace mules that could follow a store employee collecting a shipment whilst avoiding obstacles, or staff might just manhandle the cages as they do in truck loading bays today. Loading and unloading cages from carriers could be automatic with some degree of automatic movement and marshalling on the platforms so the immediate loading area could be kept free, or an (expensive) attendant might be retained at a platform as on Mail Rail, so empty drays can clear a bay quickly and move on to pick up another load. There’s no way developing such a complex bespoke system today for the Mail Rail tunnels alone would be viable I agree however, and to be useful for store shipments today you’d need an extension out to a warehouse/freight terminal district like Willesden or Barking. It’s worth continuing to mothball the Mail Rail tunnels for the foreseeable future I think, rather than threading communications cables or other services through them. With autonomous vehicles and warehouse automation both very rapidly developing fields, it’s possible solutions for the tunnels’ reuse as some form of transport might fall in price significantly. ngh – the point was the congestion and pollution caused by goods deliveries – especially those made by heavy diesel vehicles. We want to keep these journeys OFF the streets. Graham H – I’m not suggesting any major new fixed infrastructure. The postal railway had “stations” local to Bond Street, Oxford Circus and Tottenham Court Road and a couple in the City. 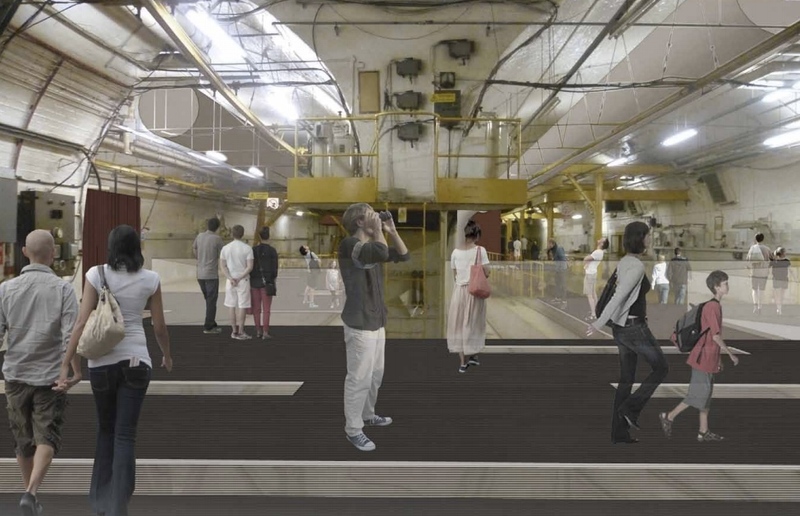 There would need to be a certain amount of repurposing, as with any reuse of the facility, but it’s already designed to transport fairly bulky goods across London, raising them back to the surface and then distributing them to their eventual destination. I’m not saying you can just swap out the mailbags for cornflakes, but there is definite crossover. Or Like M&S + Waitrose have done for years run your delivery lorries on CNG so virtually nil particulate and NOx emissions by comparison to diesel. Others like Tesco, Coke-Cola, Stobart are using some LNG delivery vehicles (Mostly landfill origin Bio-LNG). @LO Ben – fair enough about the intermediate stations; however, there is a difference between post office operations and deliveries to department stores/shops etc. and that is that the Post Office sorts its consignments out before sending them onto the streets, so no space was required to do that at any of the intermediate stations. A similar arrangement to WDO or whatever would therefore be required to enable consignments to be sorted and grouped before sending down the mail rail system – I don’t know where you could find such a space in the right place these days. @ngh – at least the Army and Navy in Victoria Street has an internal trolleyway between the store and the warehouse in Greencoat Place. I don’t know what sort of traction or guidance, if any, is used but there is certainly a fixed path. (This first came to my attention because my office, which backed on to the warehouse, would periodically be interrupted by a noise very similar to that of the Northern below certain theatres – and I briefly pondered as to why you could hear the District so far away from the other side of Victoria Street. A little more research and – hey presto!). People may be interested in this short video of the Mount Pleasant site based on 3D scans of the site before construction work starts. Really interesting. @KingstonCommuter – belatedly (long story) that was a tongue-in-cheek comment harking back to the halcyon days when precocious little brats could run around the museum pushing buttons and turning handles with little understanding of what was going on within the elegant wood and glass cabinet (what ?? me ??). Of course, the interpretative and educational aspects of the museum are much better now. I was shocked to find a few years ago that the shipping section remained in the state I remembered the whole museum. Although a daily demonstration of an absolutely massive and deafening electric discharge should be brought back…. 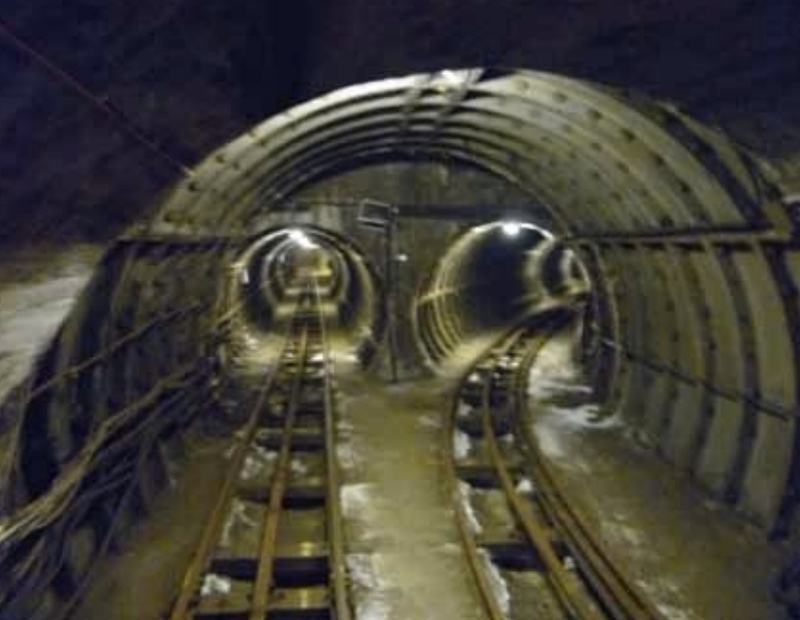 A glimpse of the Mail Rail in happier times courtesy of a Thames News clip from the 1980s.